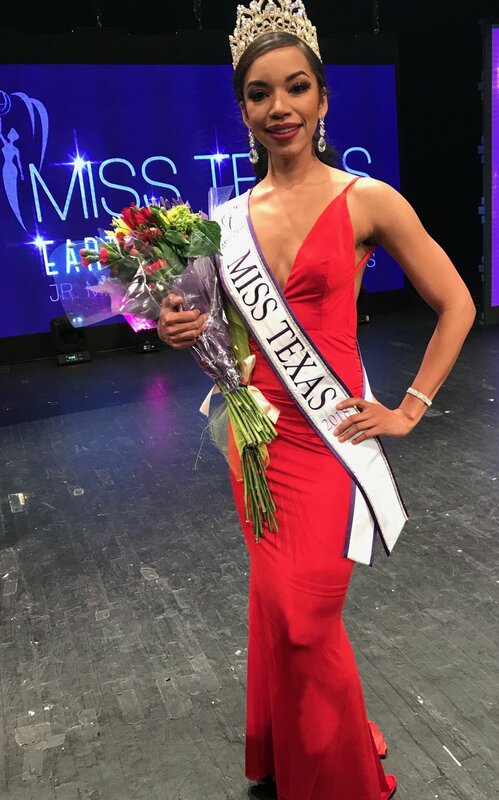 DALLAS, TX / ACCESSWIRE / April 30, 2018 / EarthWater Limited the Official Title Sponsor for the 2018 Miss Earth United States Pageant and the Regional Pageants including Miss Texas Earth United States is proud to announce the winner of the new 2018 Miss Texas Delegate, Brenna Vaughn, crowned last night on the University of Texas at El Paso campus. EarthWater is also proud to promote higher education by donating an educational scholarship fund for the winner of the Miss Texas Earth United States Pageant in 2018. EarthWater believes in the Miss Earth United States organization because each pageant creates an opportunity for young women to celebrate femininity and to take a journey of self-growth and empowerment. EarthWater Chairman and CEO, CJ Comu, served as Judge in selecting the winning Delegate to represent the great State of Texas at the National Miss Earth United States Pageant to take place on Saturday, July 14th in Washington D.C.
As EarthWater's mission is to "help change and improve peoples' lives," Miss Texas stands as an advocate for environmental issues that are affecting planet earth and therefore all of us. The Texas delegates focus their attention to help World Missions Outreach (WMO), a non-profit organization. WMO provides 15,000 meals a day and 5.4 million meals each year and has founded 80 outreach locations as well as 3 schools. The Miss Texas Earth United States pageant took place on Sunday, April 29th at the University of Texas at El Paso. Miss Earth Texas Pageant Director Allen Davie stated, "It is wonderful to have a pageant competition that focuses on young women who are passionate about helping raise awareness about environmental issues, but most importantly, supporting the efforts of sustainable, reusable, and recyclable products with sponsors who are motivated to do so as EarthWater. We are grateful for monetary donations EarthWater has made to incentivize the contestants for higher education." Follow Miss Texas Earth United States: http://www.misstexasearth.com/ and https://www.facebook.com/missearthtexaspageant/. EarthWater Limited is a health and wellness company and manufacturer of Mineral Infused High-Alkaline Beverages. The FulHum and Zenful brands use a 100% natural, proprietary blend of organic Fulvic and Humic complexes mined from deep within the Earth's surface. Fulvic and Humic minerals are believed to have properties which detoxify free radicals and improve absorption of key nutrients. EarthWater products are available online, fulfilled by Amazon. To engage with EarthWater online, you are encouraged to "like," "follow," and "share" on the brand's social media pages. EarthWater inquiries can be made via email to info@earthwater.com or visit us at www.EarthWater.com. Miss Earth United States Pageant is now in its 17th year. Miss Earth is celebrated as one of the Top 3 international pageants, featuring nearly 100 national representatives at each year's glamorous competition. The winner of MISS EARTH serves as the Ambassador to environmental protection campaigns worldwide. MISS EARTH continues to build its reputation as the most relevant and worthwhile beauty event in the world, setting a legacy of beauty and responsibility. www.missearthunitedstates.com. DALLAS, TX / ACCESSWIRE / April 26, 2018 / EarthWater, a health and wellness company producing amazing natural mineral infused high alkaline beverages is proud to announce it's racing at the famous Talladega Super Speedway Track on Sunday, April 29th at 1:00 pm EST on FOX TV www.talladegasuperspeedway.com, for the running of the GEICO 500 as part of the 2018 NASCAR Season. EarthWater has served as the official water of BK Racing, and sponsored the #23 Car. EarthWater kicked off the 2018 NASCAR Season with the inaugural race at the Daytona 500 Motor Speedway on February 18th in Daytona FL with EarthWater #23 Car driven by Gray Gaulding. The 2018 Daytona 500 was watched by millions on FOX TV, where Gray Gaulding finished 20th from a field of 40 of some of the Top Drivers in NASCAR. NASCAR professional Driver Gray Gaulding stated, "The 70+ plus trace minerals in EarthWater products provide the necessary nutrients for me to perform at my peak performance during the race. Very few people know what Drivers go through during an intense race but I'm very proud to know that EarthWater is what keeps me fueled up and able to race at my peek." EarthWater Limited is a health and wellness company and manufacturer of Mineral Infused High-Alkaline Beverages. The FulHum and Zenful brands use a 100% natural, proprietary blend of organic Fulvic and Humic complexes mined from deep within the Earth's surface. Fulvic and Humic minerals are believed to have properties which detoxify free radicals and improve absorption of key nutrients. EarthWater products are fulfilled exclusively by Amazon. To engage with EarthWater online, you are encouraged to 'like,' 'follow' and 'share' on the brand's social media pages. EarthWater inquiries can be made via email to info@earthwater.com or visit us at www.EarthWater.com. BK Racing is a Monster Energy NASCAR Cup Series Toyota Racing team headquartered in Charlotte, North Carolina. The team was founded in 2012 after the owners acquired Red Bull Racing. BK Racing's staff of highly skilled mechanics and engineers fields the No. 23 & 83 entries in the Monster Energy NASCAR Cup Series as a Toyota Racing team. The 2017 season will be BK Racing's 6th consecutive full-time season in the Monster Energy NASCAR Cup Series. Follow BK Racing on Twitter @BKRacing_2383, Facebook, and Instagram @bkracing_2383 or visit BK Racing online. DALLAS, TX / ACCESSWIRE / April 19, 2018 / EarthWater Limited, www.EarthWater.com, a manufacturer of health and wellness beverages with natural trace minerals and natural high pH is proud to sponsor the Dallas Yoga & Fitness Festival, www.attpac.org/on-sale/2018/dallas-yoga-and-fitness-festival/, on Saturday, April 21st from 9am - 12 noon at the Winspear Opera House, 2403 Flora Street, Dallas, TX 75201. Let's come together for the newest festival in Dallas, combining several forms of fitness all in one day. Yoga, Dance, Pilates, Zumba, Tai Chi, Meditation, and Boot Camp. Participants will get to choose 4 classes from a selection of over 35 choices! EarthWater Limited is a health and wellness company and manufacturer of Mineral Infused High-Alkaline Beverages. The FulHum brand uses a 100% natural, proprietary blend of organic Fulvic and Humic complexes mined from deep within the Earth's surface. Fulvic and Humic minerals are believed to have properties which detoxify free radicals and improve absorption of key nutrients. EarthWater products are available online, fulfilled by Amazon. To engage with EarthWater online, you are encouraged to "like," "follow," and "share" on the brand's social media pages. EarthWater inquiries can be made via email to info@earthwater.com or visit us at www.EarthWater.com. GRAYSLAKE, IL / ACCESSWIRE / April 12, 2018 / EarthWater Limited www.EarthWater.com, the Official Title Sponsor for the Miss Earth United States Pageant set for July 14th in Washington DC, is proud to kick off the year with its sponsorship of Miss Earth Illinois. www.MissIllinoisearth.com. Miss Earth contestants carry the goodness of FulHum wherever they go to promote environmental protection campaigns worldwide. FulHum is a 100% natural alkaline water, formulated to a pH level of +9. Its superior alkalinity is achieved by infusing pure water with a precisely formulated mix of organic Humic complexes, Fulvic compounds, and more than 70 beneficial trace minerals. The result is refreshment that not only quenches your thirst and rehydrates your system, it replenishes your body’s core nutrients – the building blocks necessary to restore and maintain optimal health and beauty. 23 year old, Student at DePaul University. EarthWater will be cheering on the new 2018 Miss Illinois Earth United States Queen who will be crowned on Sunday April 15th, 2018. She will represent Illinois at the Nationals in Washington DC on July 10-15, 2018. EarthWater Limited is a health and wellness company and manufacturer of Mineral Infused High-Alkaline Beverages. The FulHum and Zenful brands use a 100% natural, proprietary blend of organic Fulvic and Humic complexes mined from deep within the Earth's surface. Fulvic and Humic minerals are believed to have properties which detoxify free radicals and improve absorption of key nutrients. EarthWater products are sold online, exclusively by Amazon. To engage with EarthWater online, you are encouraged to "like," "follow," and "share" on the brand's social media pages. EarthWater inquiries can be made via email to info@earthwater.com or visit us at www.EarthWater.com. April 4, 2018 – Dallas TX – EarthWater RACING (https://earthwater.com/earthwaterracing/) returns to their Texas track for another exciting race with Professional NASCAR Driver, Gray Gaulding, (http://www.graygaulding.com/) driving Car 23 sponsored by EarthWater. The race is set at the famous Texas Motor Speedway which will host the Monster Energy NASCAR Cup Series for the O’Reilly Auto Parts 500 on Sunday, April 8th - Broadcasting LIVE on FS1 TV @ 2:00 pm EST. Texas Motor Speedway is a tough 1½ mile track which has hosted two NASCAR Cup series races since it was modified and repaved in 2017. The banking in Turn 1 and Turn 2 was reduced from 24 degrees to 20 degrees, while Turn 3 and Turn 4 remain at 24 degrees. Along with the difference in banking, the entry and exits tend to be flat so drivers will face unique challenges at each end of the race track. TMS holds 112,500 people and millions will be watching on TV. As reported in the Press, NASCAR charter owner BK Racing, recently filed for Chapter 11 reorganization. While this process is lengthy and complicated, EarthWater is not involved in the proceedings but will continue to monitor the activity and adjust its role accordingly. EarthWater Limited is a health and wellness company and manufacturer of Mineral Infused High-Alkaline beverages. The FulHum and Zenful brands use a 100% natural, proprietary blend of organic Fulvic and Humic complexes mined from deep within the Earth’s surface. Fulvic and Humic minerals are believed to have properties which detoxify free radicals and improve absorption of key nutrients. EarthWater products are available online at Amazon. To engage with EarthWater online, you are encouraged to “like,” “follow,” and “share” on our social media pages. EarthWater inquiries can be made via email to info@earthwater.com or by visiting us at www.EarthWater.com. Amazon Exclusives showcases sellers who have chosen to sell their products only on the Amazon Marketplace, their own websites and physical stores. Amazon has a collection of exciting new technologies and innovative brands to suit any customer, from Shoes, Sports & Outdoors, to Electronics. All products in the Amazon Exclusives Store are fulfilled by Amazon, giving more benefits for Prime customers. Prime-eligible items can be returned within 30 days of receipt of shipment in most cases. Info: https://www.amazon.com/Amazon-Exclusives/b?ie=UTF8&node=11024013011. RIDGEWAY, VA / ACCESSWIRE / March 22, 2018 / EarthWater RACING (https://earthwater.com/earthwaterracing/) revs up for another exciting race with Professional NASCAR Driver, Gray Gaulding, (http://www.graygaulding.com/) driving Car 23 proudly sponsored by EarthWater (products available exclusively on Amazon). Martinsville Speedway, in Ridgeway, VA, will host the Monster Energy NASCAR Cup Series on Sunday, March 25th Broadcast LIVE on FS1 TV @ 2:00 pm EST. However, as of Wednesday morning, weather forecasts predict snowy condition in Martinsville late Saturday and into Sunday morning. NASCAR is accustomed to dealing with rain or fog, but snow is a rare sight on race day. The last time a NASCAR event was delayed due to flaky white precipitation was in 2008 at Atlanta when a surprise storm in March forced the cancellation of Nationwide (now Xfinity) Series qualifying and delayed the final Sprint (now Monster Energy) Cup practice. Despite the weather forecast, EarthWater RACING is looking forward with its partner BK Racing to this weekend's activities. NASCAR fans will be coming from far and wide to enjoy the wild short track action and the legendary $2 Martinsville Hot Dog. Afterward, there is no better way to stay hydrated than with a bottle of FulHum! The hydrating properties of the 70+ Trace Minerals found in EarthWater FulHum with active carbon and high molecular oxygen are one of the most powerful hydrators, antioxidants, and cleansers in the world. EarthWater President and former LA Dodgers MLB Professional Baseball Player, Cash Riley Jr., stated, "Imagine getting 70 essential minerals and natural antioxidants in a serving of water, with no aftertaste, potentially harmful chemicals, or artificial flavors. We made it happen. Now we are sharing the greatest water on earth with NASCAR driver Gray Gaulding, to stay hydrated during a three-hour race behind the wheel. Go Car 23." Amazon Exclusives showcases sellers who have chosen to sell their products only on the Amazon Marketplace and through their own websites and physical stores. We have a collection of exciting new technologies and innovative brands to suit any customer, from Shoes to Sports & Outdoors to Electronics. All products in the Amazon Exclusives Store are fulfilled by Amazon, giving more benefits for Prime customers. Prime-eligible items can be returned within 30 days of receipt of shipment in most cases. Info: https://www.amazon.com/Amazon-Exclusives/b?ie=UTF8&node=11024013011. FONTANA, CA / March 15, 2018 / EarthWater RACING is set once again to race in The Monster Energy NASCAR Cup Series at the Auto Club Speedway March 16-18, 2018 in Fontana, CA. EarthWater products (which are available exclusively on Amazon), is the proud Sponsor of Car 23 driven by Professional Driver Gray Gaulding, www.graygaulding.com. What is it like to be one of the youngest NASCAR drivers? "In NASCAR there is a lot of rivalry between the NASCAR drivers. The average age of the drivers is between the ages of 28 to 30. When I was young I used to be more of an aggressive driver but now my focus is to gain respect." Outside of the track, what do you like to do? "Outside the track, I love to watch movies with my girlfriend, Abby. My all-time favorite movie is Top Gun. I also really enjoy watching comedies like The Wedding Crashers." Who would you say is your mentor on the track? "Jimmie Johnson is the ultimate mentor. He is always looking out for me and guiding me to the right track. He has won seven times the Monster Energy NASCAR CUP Series, my future hopes are to be as good him one day." EarthWater President and former LA Dodgers MLB Professional Baseball Player, Cash Riley Jr., stated, "NASCAR Drivers are some of the toughest Pro Athletes I have had the pleasure to meet and work with. Navigating a 3,500 pound car, traveling at speeds in excess of 200 MPH with G-Force conditions that could potentially cause you to pass out - is unlike anything I could ever imagine. Drivers are facing huge dehydration issues which could lead to big problems on the track. It's an honor to be a part of the team and to support our EarthWater brand with NASCAR. Go Car 23!" Located 50 miles east of Los Angeles in Fontana, Auto Club Speedway is California's premier motorsports facility, hosting over 320 days of track activity each year including the Monster Energy NASCAR Cup Series Auto Club 400 weekend - March 16-18, 2018. The two-mile D-shaped oval is one of the fastest tracks on the NASCAR circuit. The Speedway is also home to numerous movie, television and commercial productions, photo shoots, new car testing, club racing and a variety of racing schools. For more information on events at Auto Club Speedway call 1-800-944-RACE (7223) or visit www.autoclubspeedway.com. PHOENIX, AZ / March 8, 2018 / EarthWater RACING is back on the track at ISM Raceway in Phoenix in the Monster Energy NASCAR Cup series for the TicketGuardian 500. Additionally, EarthWater, which is available on Amazon Exclusives, is proud to welcome Amazon on the Car 23 - LIVE on FOX TV. EarthWater RACING Driver, Gray Gaulding was interviewed before boarding a flight to Phoenix and asked what do you want your fans to know? "I want to thank my fans for all their support and to EarthWater. I have truly noticed a difference drinking FulHum before and after my races. I feel more energized and most importantly hydrated. Since I have partnered up with EarthWater, my fans have been coming to me telling me they feel the positive effects of drinking EarthWater. I love being able to share a product I consume with my fans." CJ Comu, Founder and CEO of EarthWater stated, "It's exciting to continue to expand the EarthWater brand in Phoenix, AZ this weekend as the BK Racing Team continues with the run for the cup this season. Thanks to the millions of fans watching the race on TV and prayers to the Drivers racing in 750 Horse Powered engines travelling at speeds of up to 200 MPH on the Track. Go Car 23." BEVERLY HILLS, CA / ACCESSWIRE / February 26, 2018 / EarthWater Inc.(www.EarthWater.com) a manufacturer of high alkaline mineral infused healthy natural beverages under the brands FulHum and ZenFul, announced today it will be gifting its amazing brands at the 90th Annual Academy Awards exclusive invitation-only Gifting Suite in Beverly Hills, CA. The invite list includes: motion picture actors, directors, television stars, athletes, social media personalities (Instagram, YouTube, Twitter, Snap Chat), members of the press, and other special invited guests. Previous VIP attendees include: Alec Baldwin, Eva Longoria, Cindy Crawford, Paris Hilton, Justin Timberlake, Elton John, LL Cool J, Selena Gomez, and Jamie Foxx. EarthWater Chairman/CEO, CJ Comu, stated, "EarthWater is considered one of the new stars at the Academy Awards because our natural beverages can help the 'Stars Shine' and offer a natural detox plus remove heavy radicals while delivering much needed micronutrients to the body. We are proud to say our products have NO: chemicals, colors, carbohydrates, contaminants, or sugar. We recommend a bottle before the night out and a bottle at the end of the night to infuse some of the valuable trace minerals to rehydrate for the next day. Best wishes to all the nominees." The 90th Academy of Motion Picture Arts and Sciences - The Oscars® will be hosted by Jimmy Kimmel and held on Sunday, March 4, 2018, at the Dolby Theatre at Hollywood & Highland Center in Hollywood, CA, and will be televised live on the ABC Television Network. For more information, visit: http://www.oscars.org/oscars/ceremonies/2018. As part of the Oscar week celebrations for its 90th anniversary, the Academy presents an exclusive one-of-a-kind celebration of film, including never-before-heard arrangements of this year's five Original Score Oscar nominees. EarthWater Limited is a health and wellness company and manufacturer of Mineral Infused High-Alkaline Beverages. The FulHum brand uses a 100% natural, proprietary blend of organic Fulvic and Humic complexes mined from deep within the Earth’s surface. Fulvic and Humic minerals are believed to have properties which combat free radicals and improve absorption of key nutrients. EarthWater is proud to have at its side a Board of Medical Advisors who utilize its products in their holistic approach to health and who advocate for the benefits of its natural list of ingredients (www.EarthWater.com). To engage with EarthWater online, you are encouraged to "like," "follow," and "share" on the brand's social media pages (@earthwaterhq). EarthWater inquiries can be made via email to info@earthwater.com. DALLAS, TX / ACCESSWIRE / February 23, 2018 / EarthWater, an exclusives partner of Amazon.com, is proud to announce it has reached an agreement with BK Racing to become the official water of the team for the 2018 NASCAR Season. In another historic first, Amazon, one of the world's largest retail distribution Company's has agreed to join EarthWater as a co-sponsor and will appear on all the EarthWater Sponsored Races for the 2018 Season. Throughout the majority of the 2017 season EarthWater served as the official water of BK Racing, and sponsored the Teams #23 and #83 Cars several times. Earthwater kicked off the 2018 NASCAR Season with the inaugural race at the Daytona 500 Motor Speedway on February 18th in Daytona, FL with the Toyota Earthwater #23 Car driven by Gray Gaulding. The 2018 Daytona 500 was watched by millions on FOX TV, where Gray Gaulding finished 20th from a field of 40 of some of the Top Drivers in NASCAR. EarthWater will be back on the Track in Atlanta Motor Speedway Atlanta, GA on February 25th 2018 as the primary sponsor of the Toyota Earthwater #23 Car featuring Driver Gray Gaulding. Gray Gaulding Driver of the #23 EarthWater Toyota stated, "It was great having EarthWater partner with BK Racing last season. They're committed to growing their partnership as a primary partner with the Daytona 500 last weekend and again this weekend in Atlanta”. You can visit Amazon.com today and purchase all of FulHum by Earthwater products and upon checking out you can use the discount code EW23GRAY to receive 25% off." BK Racing is a Monster Energy NASCAR Cup Series Toyota Racing team headquartered in Charlotte, North Carolina. The team was founded in 2012 after the owners acquired Red Bull Racing. BK Racing's staff of highly skilled mechanics and engineers fields the No. 23 & 83 entries in the Monster Energy NASCAR Cup Series as a Toyota Racing team. The 2018 season will be BK Racing's 6th consecutive full-time season in the Monster Energy NASCAR Cup Series. Follow BK Racing on Twitter @BKRacing_2383, Facebook, and Instagram @bkracing_2383 or visit BK Racing online. DALLAS, TX / ACCESSWIRE / February 20, 2018 / EarthWater Limited, a health and wellness manufacturing company and producer of high-alkaline mineral infused water with a proprietary blend of fulvic and humic complexes essential to optimal health, announced today the addition of Michelle Lemmons-Poscente to the EarthWater Advisory Board. Ms. Lemmons-Poscente is an American CEO and entrepreneur. Born in San Angelo, Texas, Ms. Lemmons-Poscente attended Southern Methodist University majoring in communications. She is currently Chief Executive Officer of the Global Leaders Organization (GLO) GLO website. With GLO Ms. Lemmons-Poscente is kicking off the Microsoft GLO Tour where attendees learn from leading business experts, listen to best-selling authors and at each local event, business owners network and foster professional development opportunities. GLO will also be featured during Microsoft's ChangeMakers event in New York on February 21st (click here to learn more). In the three decades between Southern Methodist University up until her present role at GLO, she initially followed her passion for radio, television and film. Working alongside Robin Leach with Lifestyles of the Rich and Famous and other TV productions. She quickly learned the acumen for production which would prime her for a future in the world of business. In the second decade she founded and led International Speakers Bureau; Recognized by Sprint as #1 Small Business in America, along with Bank One's Top Female Entrepreneur in the United States. Her expertise included representation of international leaders, such as President George Bush; business leaders, such as Sir Richard Branson; and global thought leaders, such as John Kotter. Ms. Lemmons-Poscente also lent her talents to international board positions with Young Entrepreneurs Organization (EO) and Young President's Organization (YPO). Blending into the third decade, Ms. Lemmons-Poscente scaled both her talents and her businesses. Her networks surrounding corporate development, speaking, books, television and intellectual property, all opened the door for her to found ISB Global; a fully integrated brand strategy and representation firm. Then, by connecting extraordinary people, leading edge business models with financial opportunity, she inevitably created the first on-line leadership platform GLO which connects member to member CEO's with communities, capital and commerce. EarthWater Founder/Chairman/CEO - CJ Comu stated, "I am honored to have the opportunity to welcome Michelle to our organization. She is a remarkable person with an amazing database of contacts and relationships and a brilliant strategic mind that provides great advice to a company like ours." EarthWater Limited is a health and wellness company and manufacturer of Mineral Infused High-Alkaline Beverages. The FulHum and ZenFul brands use a 100% natural, proprietary blend of organic Fulvic and Humic complexes mined from deep within the Earth's surface. Fulvic and Humic minerals are believed to have properties which combat free radicals, and improve absorption of key nutrients. EarthWater is proud to have at its side a Board of Medical Advisors who utilize its products in their holistic approach to health and who advocate for the benefits of its natural list of ingredients. www.EarthWater.com To engage with EarthWater online, you are encouraged to 'like', 'follow' and 'share' on the brand's social media pages (@earthwaterhq). EarthWater inquiries can be made via email to info@earthwater.com. DAYTONA, FL / ACCESSWIRE / February 13, 2018 / EarthWater www.EarthWater.com, a Texas-based health and wellness company that produces High-Alkaline Mineral beverages which contain a proprietary blend of Fulvic/Humic with Trace Minerals for healthy hydration and powerful antioxidants, and is exclusively sold internationally on Amazon. Ron Devine, President of BK Racing stated, "BK Racing is excited to have EarthWater return as a sponsor for the 60th Annual Daytona 500. To have EarthWater on the No. 23 Toyota Camry, with Gray Gaulding http://www.graygaulding.com/ behind the wheel for the Daytona 500 is a match we look forward to seeing again." During the 2017 season, EarthWater was the Official Water of BK Racing for the NASCAR season, and we're excited to continue our sponsorship into the 2018 season. "Our partnership with BK Racing means more to us than racing, they've become part of our family. That's how we see BK Racing and NASCAR, it's a collaboration. It's a perfect fit. We are excited to be on the #23 car and to stand behind Gray Gaulding on and off the track,'" stated Cash Riley, President of EarthWater. Gray Gaulding is set to drive the #23 Toyota for BK Racing in the 60th Annual Daytona 500, a race in which he has never raced before. He drove the #23 Toyota for the team part-time last season and in the second race at Talladega, Gaulding drove to a career-high 9th place finish in the #83 Toyota for BK Racing. The Daytona 500, known as "The Great American Race", is a 500-mile-long (805 km) Monster Energy NASCAR Cup Series motor race held annually at Daytona International Speedway in Daytona Beach, Florida. It is the first of two Cup races held every year at Daytona, the second being the Coke Zero 400. It is one of the four restrictor plate races on the Cup schedule. The inaugural Daytona 500 was held in 1959 coinciding with the opening of the speedway and since 1982, it has been the season-opening race of the Cup series. EarthWater Limited www.EarthWater.com is a health and wellness company and manufacturer of Mineral Infused High-Alkaline Beverages. The FulHum and Zenful brands use a 100% natural, proprietary blend of organic Fulvic and Humic complexes mined from deep within the Earth's surface. Fulvic and Humic minerals are believed to have properties which detoxify free-radicals and improve absorption of key nutrients. EarthWater products are sold online, exclusively by Amazon.com. To engage with EarthWater online, you are encouraged to 'like,' 'follow' and 'share' on the brand's social media pages. EarthWater inquiries can be made via email to info@earthwater.com. BK Racing is a Monster Energy NASCAR Cup Series Toyota Racing team headquartered in Charlotte, North Carolina. The team was founded in 2012 after the owners acquired Red Bull Racing. BK Racing's staff of highly skilled mechanics and engineers fields the No. 23 & 83 entries in the Monster Energy NASCAR Cup Series as a Toyota Racing team. The 2017 season will be BK Racing's 6th consecutive full-time season in the Monster Energy NASCAR Cup Series. Follow BK Racing on Twitter @BKRacing_2383, Facebook, and Instagram @bkracing_2383. Visit BKRacing online at http://bkracingteam.com/. The Country Network (TCN) headquartered in the greater Dallas-Fort Worth area is an innovative music video TV network dedicated to providing today's Country music enthusiasts with more choices in televised and digital programming. TCN gives country music fans what they want: the best in country music videos and country music inspired content each and every time they tune in. For more information, please visit 'The Country Network' online at http://TCNcountry.com/. Standout Management Group, Inc. (SMG) is a sports and entertainment talent management and activation agency established in 2018. Headquartered in Fort Worth, Texas, SMG was founded to provide “an outside of the box” management agency to work with motorsports, music artists and professional athletes. Learn more at StandoutMG.com. NEW YORK, NY / ACCESSWIRE / February 12, 2018 /EarthWater Limited, a health and wellness manufacturing company and producer of high-alkaline mineral infused water with a proprietary blend of natural trace minerals essential to optimal health, announced today its sponsorship of designer Eva Xu's line; All Comes From Nothing (ACFN) at the 2018 NY Fashion Week in New York City. Cathy Lu, a spokesperson for ACFN, stated, "NYFW is one of the big 4 fashion weeks, it attracts tons of fashion lovers, medias, and brands every season. We are so happy to have EarthWater in this 2018 fall-winter season as the gift sponsor for our outstanding official designer ACFN (All Comes From Nothing). The designer of ACFN is a New York-based Chinese designer and highly recognized in China for years. Press has been covered by VOGUE, BAZAAR, Cliche, Rayli, JingDong Fashion, TouTiao, etc. This upcoming big show will be her 4th time on NYFW, as well as the next big one in Shanghai Fashion week, which is on March 29th, 2018, @XinTianDi." EarthWater Founder/Chairman/CEO CJ Comu stated, "This is another great opportunity to introduce and expand our brand of all-natural beverages infused with minerals from planet Earth, to the health and beauty industry while gifting our amazing products for natural hydration and good health." All Comes From Nothing (ACFN) is women's wear created by artist and designer Eva Yiwei Xu.ACFN is dedicated to women with creative lifestyles. New York Fashion Week will showcase over 30 international designers will showcase their collections on one of the most visually stunning runways at NYFW. Eva Xu graduated from School of the Art Institute of Chicago with a MFA Degree. She moved to New York and worked for Michael Kors and then Ralph Lauren for 5 years. In 2014, Eva founded ALL COMES FROM NOTHING out of a desire to create a more personal women's wear line for creative lifestyles. ALL COMES FROM NOTHING was selected from 6000 brands in Capsule and named ART WORLD UNIFORM. The ALL COMES FROM NOTHING brand is sold in department stores and boutiques internationally. EarthWater Limited is a health and wellness company and manufacturer of Mineral Infused High-Alkaline Beverages. The FulHum and ZenFul brands use a 100% natural, proprietary blend of organic Fulvic and Humic complexes mined from deep within the Earth's surface. Fulvic and Humic minerals are believed to have properties which combat free radicals and improve absorption of key nutrients. EarthWater is proud to have at its side a Board of Medical Advisors who utilize its products in their holistic approach to health and who advocate for the benefits of its natural list of ingredients. www.EarthWater.com To engage with EarthWater online, you are encouraged to "like," "follow," and "share" on the brand's social media pages (@earthwaterhq). EarthWater inquiries can be made via email to info@earthwater.com. EarthWater Supports the Leukemia & Lymphoma Society and Sponsors a Team of Addison Fire Department First Responders in the 2018 "Big D Climb"
DALLAS, TX / ACCESSWIRE / January 24, 2018 / EarthWater Limited, a health and wellness company which produces high-alkaline mineral supplement beverages, is proud to sponsor a team of First Responders at the 10th Annual Big D Climbsupporting the Leukemia & Lymphoma Society. The EarthWater sponsored team of five Addison Fire Fighters will climb 70 flights of stairs at the Bank of America Plaza in downtown Dallas. This is the tallest building in the city and the 30th tallest in the country. The climb will take place on Saturday, January 27th, 2018. The climb is part of a fund-raising challenge seeking the cure for Leukemia. EarthWater CEO CJ Comu stated, "We're pleased to be participating in the Big D Climb again - and proud to be back with a team of First Responders. The mission of the LLS is very important to us, we want to see everyone's health improved and lives saved. We'll be there to cheer on our team of Fire Fighters and will have ambassadors at the finish line of this incredible climb, ready to give out product to help participants recover and rehydrate." EarthWater has a longstanding relationship with the Addison Fire Departments where they keep the stations stocked with EarthWater mineral infused water for hydration and health. Members of the Addison Fire Department stopped by EarthWater's headquarters to pick of their gear and their water in preparation for the 70-story climb. The Big D Climb is the biggest stair climb in North Texas. Participants race up 70 stories of stairs at Bank of America Plaza in Downtown Dallas to raise money for blood cancer research. More than 1,600 climbers raced and helped to raise $255,000 for The Leukemia & Lymphoma Society, www.bigdclimb.org. LLS is the world's largest voluntary health agency dedicated to blood cancer. The LLS mission: cure leukemia, lymphoma, hodgkin's disease and myeloma, and improve the quality of life of patients and their families. LLS funds lifesaving blood cancer research around the world and provides free information and support services, www.lls.org. To engage with EarthWater online, you are encouraged to "like," "follow," and "share" on the brand's social media pages (@earthwaterhq). EarthWater inquiries can be made via email to info@earthwater.com. The above 10 Minute Promo shot in December 2017 at the EarthWater's production and bottling facility in Texas with EarthWater President - Cash Riley Jr and EarthWater CEO - CJ Comu discussing the production process and health benefits of their core product, "FulHum". When the video was featured live on Amazon this leverages interactive streaming video to create new shopping experiences for customers. EarthWater President - Cash Riley Jr., stated, "It's a great program, and a great way for us to enhance our platform and partnership with Amazon. As a company which distributes exclusively through Amazon, having an opportunity to share our products like this with a targeted audience on Amazon is a big plus. The past couple of times we've been able to participate on the program it's has been an awesome experience getting to understand the interactive features of the platform and see real time purchases on Amazon." To engage with EarthWater online, you are encouraged to 'like', 'follow' and 'share' on the brand's social media pages (@earthwaterhq). EarthWater inquiries can be made via email to info@earthwater.com. DALLAS, TX / ACCESSWIRE / January 16, 2018 / EarthWater Limited, a health and wellness manufacturing company and producer of high-alkaline mineral infused water with a proprietary blend of fulvic and humic complexes essential to optimal health, announced today the addition of Gerry David to its Advisory Board. Gerry was former CEO of Celsius Holdings Inc. (CELH), a public company. Over the course of David's tenure as CEO, Celsius made impressive gains in the fitness beverage category, posting record revenues for five consecutive years and a 22-fold increase in its stock price. The company raised $16 million through a group of notable strategic investment partners in April 2015, including serial entrepreneur Russell Simmons and model Kimora Lee Simmons. The brand expanded its distribution footprint under David's administration. In 2016, the US Army, Air Force, Navy, and Marine Corpssigned a partnership to carry Celsius in all bases around the globe, while 7-Eleven and Sunoco agreed to place the product in as many as 8,000 of their total locations. Celsius also staked out a strong position in Asian markets during David's administration. Hong Kong business magnate Li Ka-Shing (whose $31.5 billion net worth, according to Forbes, makes him the wealthiest individual in Asia) became a partner through his venture capital firm, Horizon Ventures, during the April 2015 investment round. In March 2017, Celsius closed a second round for $15 million, which was led by Li Ka-Shing'sHorizon Ventures. Celsius is distributed in Hong Kong at A.S. Watson, the world's largest health and beauty retailer, owned by Li Ka-Shing, with over 12,000 locations and $20 billion in annual revenue. Gerry is a solutions-focused Senior Executive, Entrepreneur, Consultant, and Board Member with more than 40 years of success across the consumer products, manufacturing, and high-tech industries. Leveraging extensive experience leading five comprehensive turnarounds of both public and private companies with global scopes spanning 72 countries, he is a valuable asset for startup or established companies looking to drive long-term, sustainable growth. His broad areas of expertise include sales and marketing, operations management, financial analysis, capital raising, supply chain management, M&A, regulatory and strategic planning. Throughout his executive career, Gerry has held leadership positions at organizations including Celsius Holdings, Vitarich Labs, HSN Direct, and his consulting firm Gerry David & Associates LLC, where he currently serves as CEO. He has been responsible for leading the turnaround of a public beverage company on the verge of going out of business, driving 5 consecutive years of record revenue, increasing shareholder value by 22X, establishing a subsidiary in Hong Kong, launching products in Asia, South America, Europe, and the Middle East, and establishing manufacturing in Germany, China, and the US; spearheading the revenue growth of a direct selling company from $2M/month to $4.6M/month in 12 months while developing a new product brand and opening a fulfillment facility in the Bahamas; and facilitating the turnaround of an established direct marketing company, including introducing over 20 new products resulting in a 30% increase in sales, moving the company to a more cost-effective location, and opening up the Israel and European markets. Gerry also lead the turnaround of five companies. Gerry began his career by founding a systems integration company specializing in the hospitality industry, growing the organization to offices in six states prior to its sale to a public entity. Gerry attended Western Michigan University. He currently sits on the Board of: Physicians Made Beverages, Reedeux Media, Cutting Edge Beverages and Advisor to Rocky Mountain High Brands, Briggs Original and Karuna Beverages. In recognition of his professional achievements, he was one of only 25 Gold Winners in the prestigious 2016 CEO World Awards and was selected as "The Leader" in the CEO of the Year category. EarthWater Founder/Chairman/CEO, CJ Comu, stated, "I am honored to have the opportunity to welcome Gerry to our organization. He has an impeccable resume and is highly respected in the industry." DALLAS, TX / ACCESSWIRE / December 7, 2017 / EarthWater, an exclusive partner of Amazon.com, has teamed up with The Morning Blaze with Doc Thompson as title sponsor of "7-Minute Rehydrate," a daily, timed recap of the popular morning radio show produced and distributed by TheBlaze. EarthWater and Doc Thompson have had a strong relationship throughout 2017, as Thompson and his crew have become avid consumers of EarthWater products and with TheBlaze headquarters becoming one of the first Dallas-based offices to feature EarthWater's Black Watercooler. The Morning Blaze with Doc Thompson, which airs weekdays from 6:00 am to 9:00 am EST on TheBlaze Radio Network and TheBlaze TV, is "A mix of topical stories and politics tackled with humor, fun, and entertainment." The "7-Minute Rehydrate" is a timed recap of each episode's content, and the audience is encouraged to engage via Twitter, Periscope, and Facebook. Viewers of The Morning Blaze with Doc Thompson show are also offered a special discount which can be redeemed when shopping on Amazon/FulHum. About reigniting their sponsorship of The Morning Blaze with Doc Thompson, EarthWater President Cash Riley, Jr. stated, "We are big fans of Doc and are glad to be back on the air with him. We're excited about the show moving to TV. Doc has great engagement and a great following, but the best part for us is that he really believes in and enjoys our products, which makes this a genuine partnership." Doc Thompson noted, "I am happy to partner with EarthWater. You're not only getting a healthy start to your day, you’re getting an informed morning as well. EarthWater has impacted The Morning Blaze crew and we want to share our healthy lifestyle and information. The 7 Minute Rehydrate is another avenue to add to our partnership with EarthWater." EarthWater is the Addison, TX-based producer of Black, high Alkaline Mineral Waters (FulHum), which contain a proprietary blend of Fulvic / Humic minerals with Trace Minerals and powerful antioxidants. The company is dedicated to helping others live healthy, active lifestyles by offering them a product that increases energy, hydrates better than plain water, detoxifies the body, and adds a healthy dose of 70+ trace minerals into the body, which are often missing from our diets. EarthWater Limited (www.EarthWater.com) is a health and wellness company and manufacturer of Mineral Infused High-Alkaline Beverages. The FulHum and Zenful brands use a 100% natural, proprietary blend of organic Fulvic and Humic complexes mined from deep within the Earth’s surface. Fulvic and Humic minerals are believed to have properties which detoxify free radicals and improve absorption of key nutrients. To engage with EarthWater online, you are encouraged to "like," "follow," and "share" on the brand’s social media pages. EarthWater inquiries can be made via email to info@earthwater.com. Dallas, TX (November 28, 2017) – EarthWater Limited, EarthWater a health and wellness company and producer of FulHum a high-alkaline water infused with a proprietary blend of fulvic and humic complexes which aid in hydration and the absorption of up to 70+ trace minerals, essential to optimal health. EarthWater also produces a line of flavored Fulvic-infused brand Zenful, as well as mineral concentrates / supplements, and daily vitamins. EarthWater will be one of the first Amazon Exclusives companies to join the Transparency service developed by Amazon, which allows consumers to learn Origins, Authenticity and other Product Information by scanning the prominently displayed code right on our products. The Transparency Code will be included on the label of EarthWater’s 2018 production of all of its SKUs, including; FulHum, Zenful, Mineral Concentrate packets, PopTops, and Gummy-Vites. Amazon is launching its Transparency service in an effort to ensure quality and authenticity of products people buy on Amazon.com and all retail channels. Transparency is a technology and service that empowers brands and retailers to authenticate inventory and prevent counterfeit goods from entering the supply chain and ultimately being sold to consumers. Consumers can scan the Transparency code on any product, regardless of retail channel, to verify its authenticity. Brands can also enable consumers to learn more about the item through the code, from expiration date to ingredients to usage instructions. Transparency empowers consumers by allowing them to scan the Transparency code on any product—regardless of retail channel—to verify its authenticity. Consumers can download the Transparency app (available on iPhone and Android) or use the Amazon Mobile Shopping app to scan the Transparency code. EarthWater Limited is a health and wellness company and manufacturer of Mineral Infused High-Alkaline Beverages. The FulHum and ZenFul brands use a 100% natural, proprietary blend of organic Fulvic and Humic complexes mined from deep within the Earth’s surface. Fulvic and Humic minerals are believed to have properties which combat free radicals, and improve absorption of key nutrients. EarthWater is proud to have at its side a Board of Medical Advisors who utilize its products in their holistic approach to health and who advocate for the benefits of its natural list of ingredients.